What caused the largest glaciation event in Earth’s history, known as ‘snowball Earth’? Geologists and climate scientists have been searching for the answer for years but the root cause of the phenomenon remains elusive. Now, Harvard University researchers have a new hypothesis about what caused the runaway glaciation that covered Earth pole-to-pole in ice. The research is published in Geophysical Research Letters . 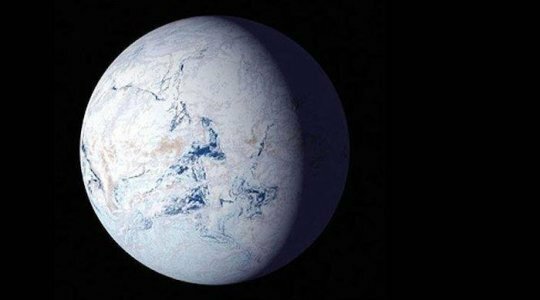 Researchers have pinpointed the start of what’s known as the Sturtian snowball Earth event to about 717 million years ago — give or take a few 100,000 years. At around that time, a huge volcanic event devastated an area from present-day Alaska to Greenland. Coincidence? Harvard professors Francis Macdonald and Robin Wordsworth thought not. “We know that volcanic activity can have a major effect on the environment, so the big question was, how are these two events related,” said Macdonald, the John L. Loeb Associate Professor of the Natural Sciences. At first, Macdonald’s team thought basaltic rock — which breaks down into magnesium and calcium — interacted with CO2 in the atmosphere and caused cooling. However, if that were the case, cooling would have happened over millions of years and radio-isotopic dating from volcanic rocks in Arctic Canada suggest a far more precise coincidence with cooling. climate of the planet — the cooler the planet, the lower the tropopause. “In periods of Earth’s history when it was very warm, volcanic cooling\ would not have been very important because Earth would have been shielded by this warm, high tropopause,” said Wordsworth. “In cooler conditions, Earth becomes uniquely vulnerable to having these kinds of volcanic perturbations to climate.” “What our models have shown is that context and background real matters,” said Macdonald. Another important aspect is where the sulfur dioxide plumes reach the stratosphere. Due to continental drift, 717 million years ago, the Franklin large igneous province where these eruptions took place was situated near the equator, the entry point for most of the solar radiation that keeps Earth warm. So, an effective light-reflecting gas entered the atmosphere at just the right location and height to cause cooling. But another element was needed to form the perfect storm scenario. After all, the Pinatubo eruption had similar qualities but its cooling effect only lasted about a year.The eruptions throwing sulfur into the air 717 million years age weren’t one-off explosions of single volcanoes like Pinatubo. The volcanoes in question spanned almost 2,000 miles across Canada and Greenland. Instead of singularly explosive eruptions, these volcanoes can erupt more continuously like those in Hawaii and Iceland today. The researchers demonstrated that a decade or so of continual eruptions from this type of volcanoes could have poured enough aerosols into the atmosphere to rapidly destabilize the climate. “Cooling from aerosols doesn’t have to freeze the whole planet; it just has to drive the ice to a critical latitude. Then the ice doesthe rest,” said Macdonald. The more ice, the more sunlight is reflected and the cooler the planet becomes. Once the ice reaches latitudes around present-dayCalifornia, the positive feedback loop takes over and the runaway snowball effect is pretty much unstoppable. “It’s easy to think of climate as this immense system that is very difficult to change and in many ways that’s true. But there have been very dramatic changes in the past and there’s every possibility that as sudden of a change could happen in the future as well,” said Wordsworth. Materials provided by Harvard John A. Paulson School of Engineering and Applied Sciences. Original written by Leah Burrows.Note: Content may be edited for style and length. A red tide turns bio luminescent off Scripss Oceanography Pier. When certain types of algae accumulate at the ocean surface in high numbers, they turn large swaths of water a reddish-brown color, attracting attention for both good and bad reasons.Off the coast of Southern California these events,known as “red tides,” can produce awe- inspiring nighttime light shows by illuminating breaking waves and creating eerie blue trails behind surf fish. However, in other areas such as off Florida and in the the Great Lakes these blooms can be toxic, causing fish die-offs, shellfish poisoning, and triggering respiratory problems in humans and marine mammals. Pier as part of a continuous observation program, led by Scripps Emeritus Professor John McGowan, that is part of the Scripps Shore Stations Program.When the ecological data were fed into Sugihara’s equation-free models, known as empirical dynamic modeling (EDM), the researchers were able to identify patterns in the apparent randomness that can be used to predict red tides off Southern California. Distinguished Professor of Natural Science and a senior author on the study. “It was a mystery only because we were looking at it the wrong way. Looking for things that simply ‘correlate’ with red tides will fail.”The EDM method is based on the idea that the ecosystem is always changing and must be studied asa whole system rather than as separate pieces. Analyzing the ecosystems holistically enabled Sugihara and his team to use the30-year archive of field data to identify the mechanisms causing red tides. Foundation’s (NSF) Division of Environmental Biology. “This research shows that the challenge is being overcome using innovative techniques that offer us information such as how to predict red tides. That’s important for knowing when to close fisheries and swimming areas, and for the health of residents who live along affected waters.” “The approach allowed us to find factors that come together as a perfect storm to produce a red tide,” said Sugihara. “These factors include having a stable water column and low nutrient levels in surface waters.” With further model improvements to incorporate real-time observations, Sugihara and team believe that these algal blooms could be predicted as part of an early-warning system for future red-tide events. In addition to the public health concerns, these algal blooms cause operational issues at power and desalinization plants, and create oxygen-depleted zones in the ocean. Advanced prediction of red tides can help provide more proactive responses to the human and animal health repercussions, guide temporary shutdowns of desalinization plants, and aid in the planning of military training exercise in coastal waters. Materials provided by University of California – San Diego . Note: Content may be edited for style and length. The greatest aspirations of humankind have always been to save the world, and also save ourselves. As fallible human beings, it’s too easy getting into a mindset in which we think making a difference is impossible – but it’s not. It’s too easy to get discouraged about things going on in the world and to complain that things are going downhill. 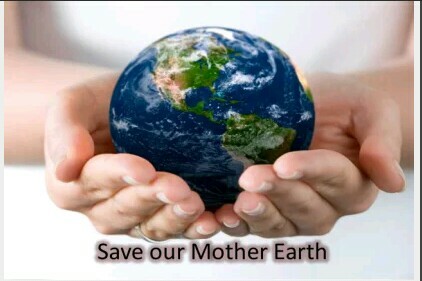 The truth is, People are going green and saving Mother Earth through many daily preservation practices. 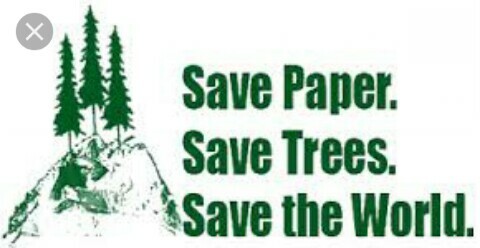 However, there are still many people that think it is costly and time consuming, or more of a “tree-hugger” activity. This problem is that we have a tendency to try and take on either too much or too little. However, there are little things that you can do on a daily basis to make yourself feel better while also making the world a better place.